Call him rock star in chief. Former President Bill Clinton, who turned 65 in August, is celebrating in grand fashion this weekend - however belatedly - with a three-day Hollywood party to benefit his foundation, reports CBS News Correspondent Seth Doane. The 42nd president kicked off the extravaganza Friday night. Just as at his inauguration nearly 20 years ago, Fleetwood Mac's Stevie Nicks kicked off the festivities. "We've seen the Clintons combine politics and their private lives quite a bit," observes Politico's Glenn Thrush. "This is a natural for him, to leverage his fame and his love of partying with his philanthropic efforts. So this (Hollywood) is the perfect place to be doing it." The party continues Saturday night at the Hollywood Bowl, with performances by Lady Gaga, Usher, Kenny Chesney, and a special acoustic set from Bono and The Edge, who performed for Mr. Clinton at the opening of his presidential library back in 2004. He's long fused his love of music with politics. 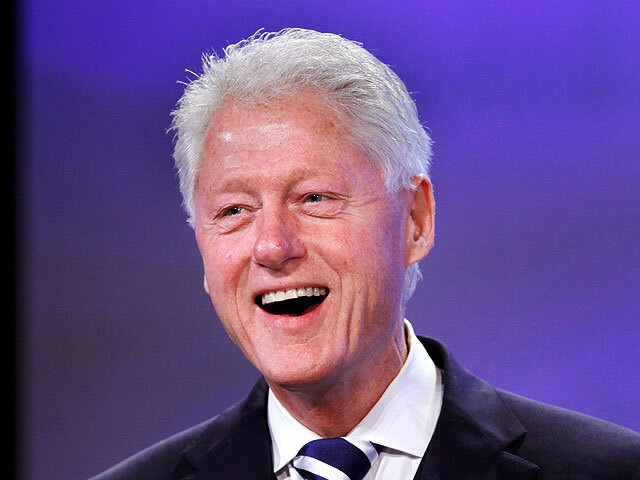 As a presidential candidate in 1992, Mr. Clinton jazzed viewers and audience members with a now-famous saxophone performance on "The Arsenio Hall show. His relationship with L.A.'s "A-listers" is legendary. And even though he's been out of office for more than a decade, Mr. Clinton is still cashing in on his Hollywood connections. "With a half million dollars to a million dollars," says Tina Daunt of The Hollywood Reporter, "you get access to the Clintons, into the brunch, golfing with Bill, the top seats at all venues." It's classic Bill Clinton. By using his birthday to help the causes he champions, from combating climate change to obesity, and even HIV-AIDS. He's celebrating today, and thinking about tomorrow, as the classic Fleetwood Mac song he used as his campaign.